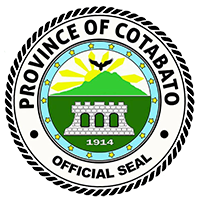 A powerful explosion rocked Cotabato City Monday, just few hours before the New Year. Initial report states that the suspected improvised explosive device went off around 1:59 p.m. infront of the South Seas Mall. Eleven victims were rushed to the hospital. Authorities are still investigating the incident as of press time. Latest update showed that 25 people were wounded while two died. Unconfirmed reports showed that another IED was detected at the 2nd floor at the baggage area of South Seas Mall at around 2:40 p.m. The recovered IED was suspected to contain black powder with unknown chemicals and secreting foul odor. Personnel and customers were advised to vacate the place immediately. 1. Bai Sandra Ayunan, 16 years old, student. None is reported to be fatally wounded so far. Cotabato City Mayor Frances Cynthia Guiani-Sayadi meanwhile condemned the lates bombing in her city. “I strongly condemn the bombing incident that happened in front of South Seas Mall today, a day before the New Year, the took away several innocent lives and injured dozen others.